I haven't posted in forever! 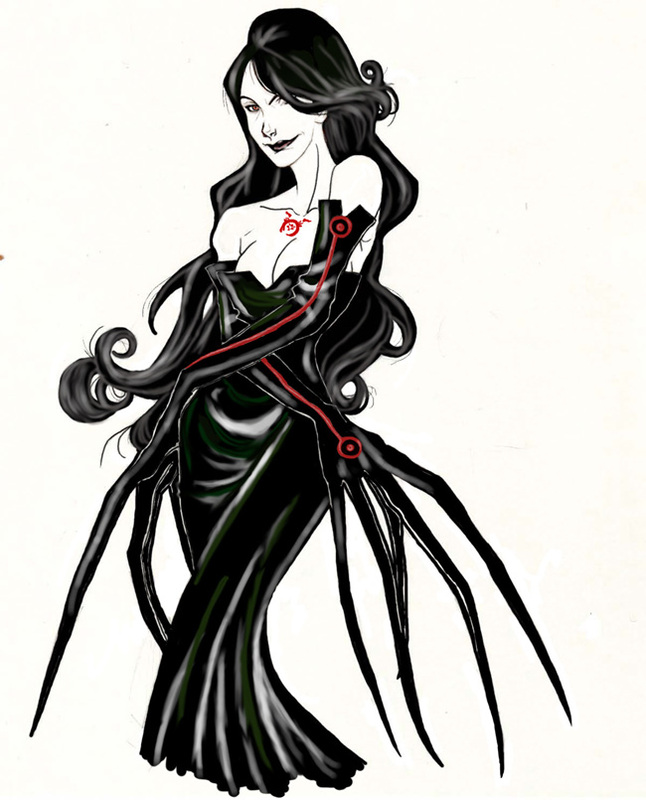 Anyway, this is Lust of FMA. She's my favorite of the seven deadly sins/ Humunculus. I quickly painted in Photoshop. It's my first time. It's rough, but I like it. Enjoy, baby! o...m....g...WOW!! *faves* it's amazing! its like scary....but like....not....like shyhorse said!! Great style - scary claws!!!!!! Wow, she's really cool. I love the evil smile. I love this picture- the position of her body and the claws are great. You're really talented! Lust is a great character !! Holy cow... Scar would be drooling like a maniac right now. lol Very, very nice job! Detail was definately key, I can tell! Favorites!